There is a central core of pivotal possibilities in every man. This center of being in each of us is interchangeably called our heart, or our spirit. And like our emotional heart, this core determines our primary focus interest and affections in life. This core is also called our spirit. Our key to worshiping the almighty God is the key to activating and revitalizing this core. It’s like an elevator built into the hub of a high rise. It’s like a ski lift that takes us from the plane of the mundane to the peak of adventure. It is our worship that connects us to our God. Fact #2. He gives us His Biblical call to worship to keep us in the mainstream of spiritual refreshment via worship, via teaching, and fellowship. Fact #3. Worship is a direct challenge to each believer…to open himself up to real passion, and to learn more fully what it means to truly and completely be alive in Christ. Fact #4. Worship is the way to invite God to rule in your house. I want to ask you, is your welcome mat out today? Fact #5. Worship has a fragrance: and our flesh has an odor. If there is just a little flesh in your act of worship: it is unacceptable to God. As believers, our dependence must be upon God and not on the flesh. Fact #6. In the Old Testament in the tabernacle, the utensils and all of the furniture used for worship…Had to be anointed before they could be used. They didn’t anoint with just any old oil. They had a special oil made from a recipe that God gave them. Fact #7. There’s no anointed worship without death of the flesh. Fact #10. 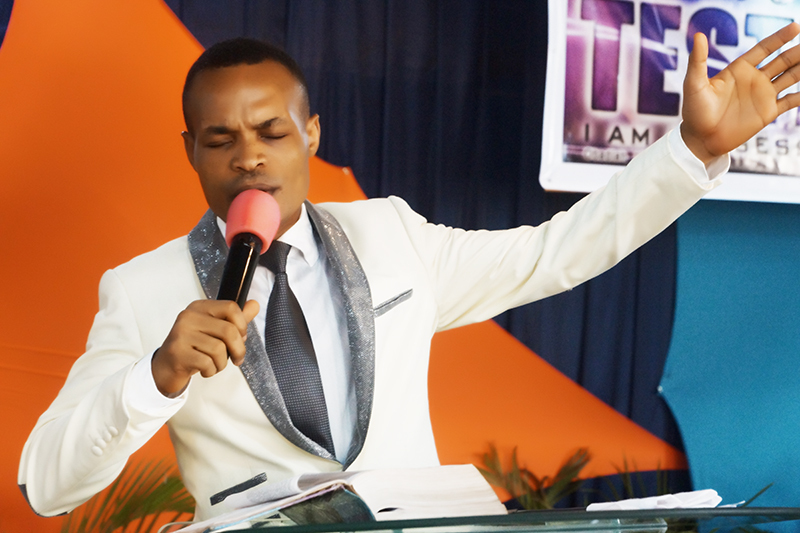 When you are an oozing worshiper, there will be a constant flow of the Spirit of God in your life. Exodus 30:6-7, 23-36; Hebrews 10:25, 1Corinthians 1:29, John 7:37-39, John 4, Romans 12:1.